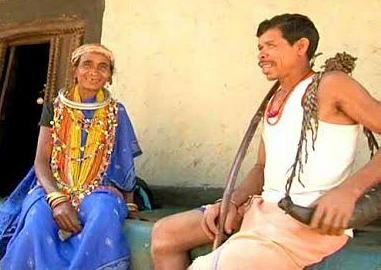 Dhabalu Sisa and his wife Samari, belonging to one of India’s most primitive tribes, are elated after receiving an invitation from Prime Minister Narendra Modi to attend the Republic Day parade, but have some serious things to tell him. Their village, called Bandiguda under Mudulipada gram panchayat in Malkangiri district of Odisha, is in a kind of mood never experienced before. Not one of the villagers, who have had little connection with the ‘world’, can recall the last time a prime minister had invited a member of their Bonda tribe to attend a function. In New Delhi on January 26, Dhabalu Sisa and Samari said they will meet President Pranab Mukherjee and Prime Minister Modi after witnessing the grand show of India’s military might and a series of tableaux highlighting its cultural diversity at the Republic Dday parade. However, it won’t just be their day in the sun with some entertainment. The Bonda couple, who have already started mending the traditional clothes they are going to wear on the special occasion, has some serious issues to discuss with the prime minister. Dhabalu said he would tell him about a lack of roads and other amenities in their area. “We never dreamt of meeting the President and Prime Minister. But, an invitation has come to us and we will use this opportunity to highlight our problems and how we are suffering due the vagaries of nature,” said Dhabalu. Dambaru Sisa, the local MLA, said the couple would first meet Chief Minister Naveen Patnaik on January 21 and then travel to New Delhi to attend the Republic Day parade. The Bonda people inhabit the isolated hill regions of the Malkangiri district near the junction of the three states of Odisha, Chhattisgarh, and Andhra Pradesh. Modern civilization has not changed them very much. They have preserved their age-old way of life.